Among followers of Jesus, great is often the enemy of good. The drive to be great---to be a success by the standards of the world---often crowds out the qualities of goodness, virtue, and faithfulness that should define the central focus of Christian leadership. In the culture of today’s church, successful leadership is often judged by what works, while persistent faithfulness takes a back seat. If a ministry doesn’t produce results, it is dropped. If people don’t respond, we move on. 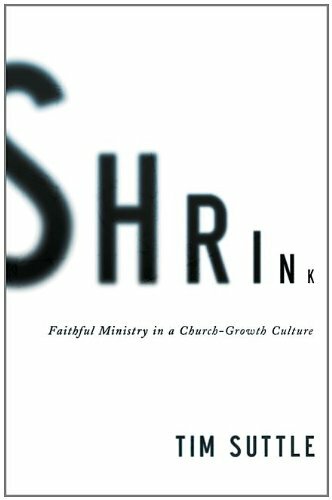 This pursuit of “greatness” exerts a crushing pressure on the local church and creates a consuming anxiety in its leaders. In their pursuit of this warped vision of greatness, church leaders end up embracing a leadership narrative that runs counter to the sacrificial call of the gospel story. When church leaders focus on faithfulness to God and the gospel, however, it’s always a kingdom-win---regardless of the visible results of their ministry. John the Baptist modeled this kind of leadership. As John’s disciples crossed the Jordan River to follow after Jesus, John freely released them to a greater calling than following him. Speaking of Jesus, John said: “He must increase, but I must decrease.” Joyfully satisfied to have been faithful to his calling, John knew that the size and scope of his ministry would be determined by the will of the Father, not his own will. 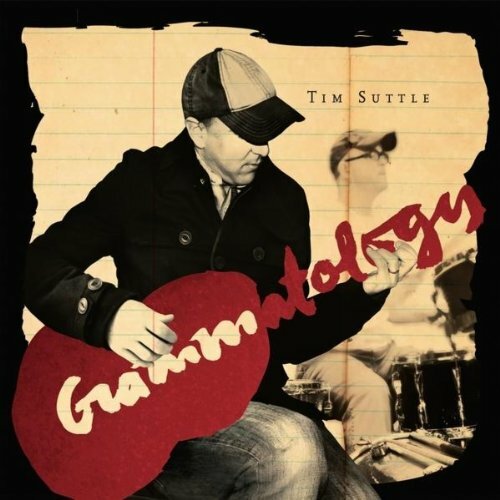 Following the example of John the Baptist and with a careful look at the teaching of Scripture, Tim Suttle dares church leaders to risk failure by chasing the vision God has given them---no matter how small it might seem---instead of pursuing the broad path of pragmatism that leads to fame and numerical success. 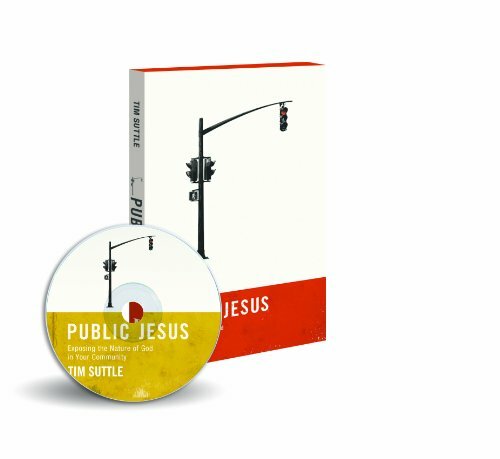 Public Jesus helps expose people to the many opportunities that are all around them to reflect the love of Christ and uncover a religion that is neither private nor personal. This 6-week small group study unpacks what it means to be a human being in the world and how Christians can reveal the image of God in their neighborhoods, faith communities and workplace. 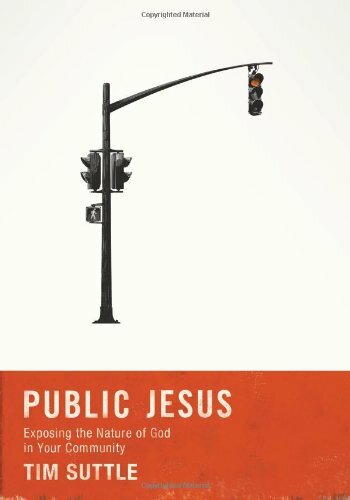 Jesus lived a very public life. Overthrowing tables, eating with sinners and tax collectors, and exposing a Kingdom that was breaking in.Public Jesus helps expose people to the many opportunities that are all around them to reflect the love of Christ and uncover a religion that is neither private nor personal. Author Tim Suttle unpacks what it means to be a human being in the world and how Christians can reveal the image of God in their neighborhoods, faith communities and workplace. Each chapter challenges readers to love and engage those around them in authentic ways, making every page a catalyst to move people into the mission of loving those they live among.The video sessions are conversational in style as Tim shares thoughtful insights around each chapter in a way that will foster rich conversation. A video transcript taken from sessions with Tim is included in every chapter which is helpful for small group discussions and deeper reflection.Public Jesus is a call for us to orient ourselves to Christ as we learn to follow Jesus wherever we live. Jesus taught that love for others is the path to God, that you can't love God if you don't love your neighbor. 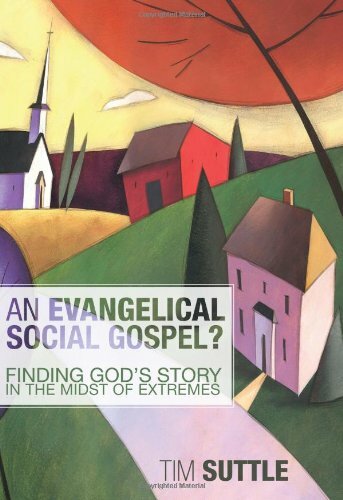 In An Evangelical Social Gospel, Tim Suttle shows how the exaggerated individualism of American culture distorts the gospel and weakens the church. He reaches back a full century to the writings of the great Baptist pastor Walter Rauschenbusch and offers an imaginative vision for how evangelicals can once again impact the world. Bypassing the culture wars and liberal/conservative squabbling, Suttle offers a way in which the corporate nature of Christianity can be held alongside the evangelical belief in personal salvation. In so doing, Suttle provides valuable theological rationale for the moves many are making toward social justice and helps us rediscover why the nexus of personal and corporate faith is where we find the power to transform lives and cultures alike. His approach to corporate sin and salvation, the kingdom of God, and missional theology are deeply rooted in the life of a pastor, yet informed by a rich theological mind.